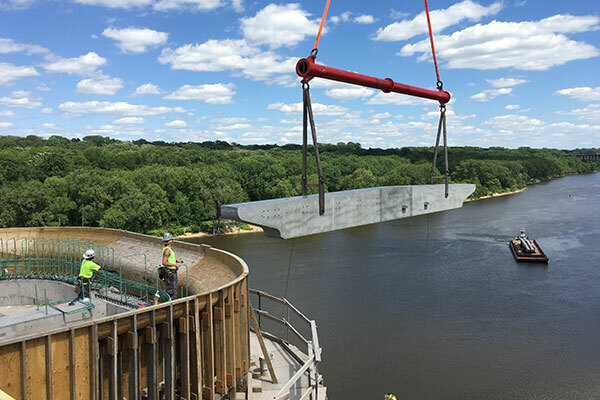 Kraemer is rehabilitating the historic Franklin Avenue Bridge, which spans West River Parkway and the Mississippi River in Minneapolis, MN. The new bridge deck will incorporate safe, multi-modal features including a separated bicycle lane, protected pedestrian walkways, overlook areas, and improved lighting. Precast panels will be manufactured off site in 2015 and placed during the 2016 construction season. The panels will be floated down the river, and segments will be hoisted by water borne cranes into their final positions.